MARTIN HEWITT has taken up his position as chair of the National Police Chiefs’ Council on 1 April 2019. The NPCC enables independent chief constables and their forces to work together to improve policing for the public. THE SECURITY Event will host a seminar programme featuring industry leading speakers and Technical Seminar Theatre sponsored by Linx International Group. COMELIT GROUP, as a founder Partner to The Security Event, will be exclusively presenting its very latest smart solutions in stylish door entry, home automation, fire and CCTV at the premiere industry exhibition. HONEYWELL'S MAXPRO Cloud business intelligence platform combines our very best products - Galaxy Intrusion, NetAXS123 and Performance Video surveillance into a single-user interface that works across one or multiple locations. ON STAND SE32 at The Security Event, TDSi will be showcasing the latest addition to the GARDiS ecosystem - the new 2-door ONVIF compatible, POE powered and web-enabled door controller. The product is the successor to TDSi’s well-established EX Series controller range. PHILIP INGRAM MBE (PI) caught up with Alex Asnovich (AA), the Vice President, Global Marketing and Communications, with the Avigilon Corporation to find out why Avigilon is a founding partner for The Security Event and how Alex sees the market developing. We sit down with The Security Event director Tristan Norman to get an insight on why the event is a must attend at NEC Birmingham on 9-11 April 2019. VIDECON WILL be showcasing a full suite of updates to the Concept Pro CCTV range at The Security Event as well as showing the full Aspect range, a CCTV brand offering exceptional value packed with the latest features. CLIQ GO is a fully electronic locking system based on the precision mechanical components and microelectronic modules of CLIQ® technology. TEXECOM CLOUD allows alarm installation companies to manage, configure and control their alarm system portfolios. 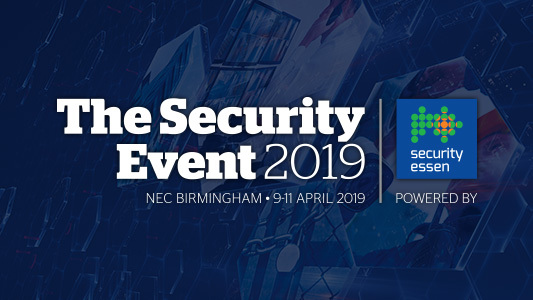 IDIS WILL be connecting with installers and integrators at The Security Event on 9-11 April 2019 at NEC, Birmingham on stand SE68 to explore new opportunities for project partnerships. MAYOR OF London Sadiq Khan visited Dockhead Fire Station to see first-hand new life-saving equipment being used by the London Fire Brigade, following investment from City Hall in the wake of the Grenfell Tower fire. LOCAL GOVERNMENT leaders are calling for tougher rules governing the installation of sprinklers in high-rise buildings following the Grenfell tragedy.